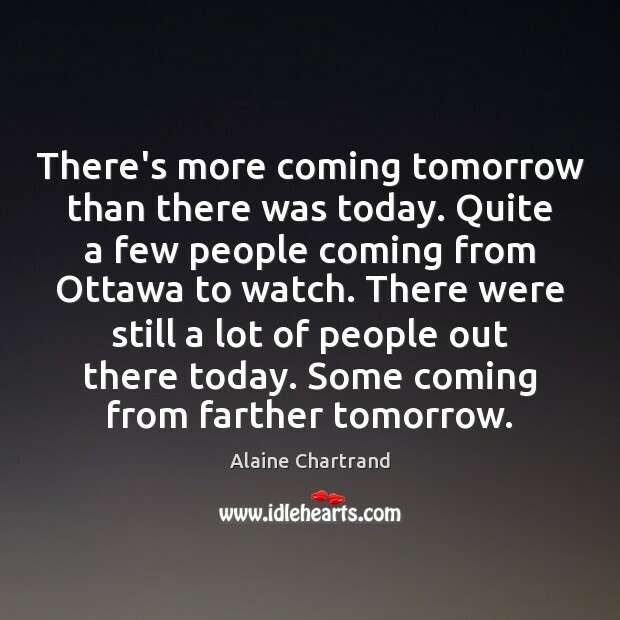 Enjoy the best inspirational, motivational, positive, funny and famous quotes by Alaine Chartrand. Use words and picture quotations to push forward and inspire you keep going in life! 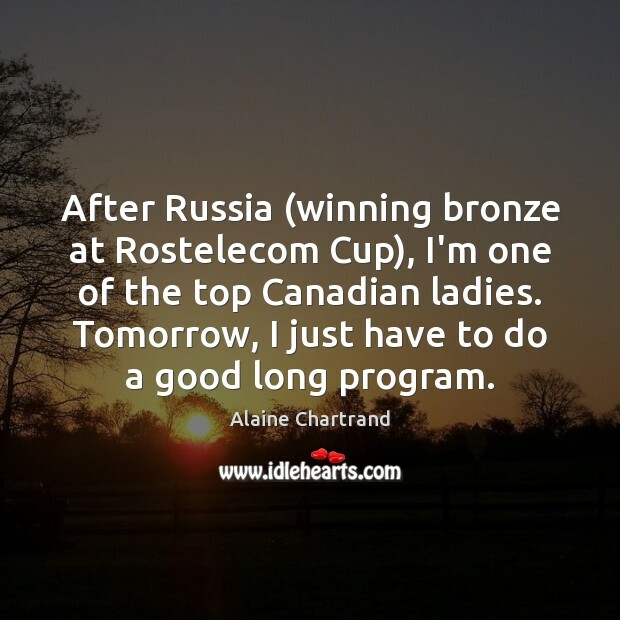 After Russia (winning bronze at Rostelecom Cup), I'm one of the top Canadian ladies. Tomorrow, I just have to do a good long program. I feel great. I'm right there for the top two. 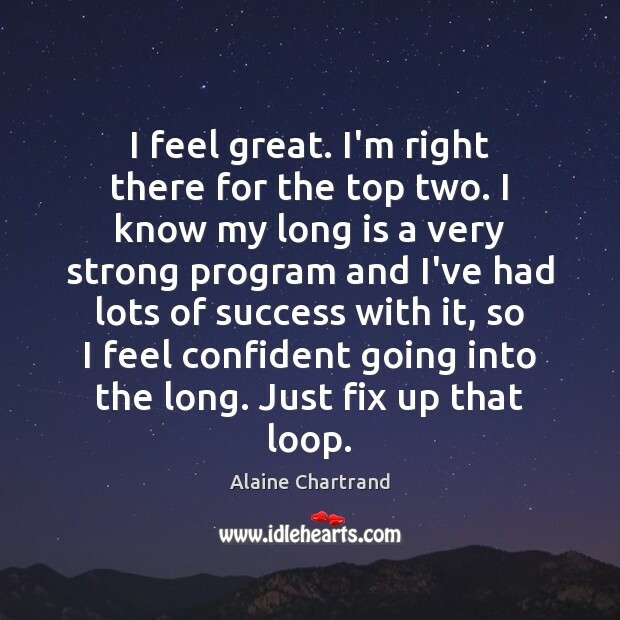 I know my long is a very strong program and I've had lots of success with it, so I feel confident going into the long. Just fix up that loop. The last two years, nationals have been close to home for me, so I've had big family support from friends and club support. 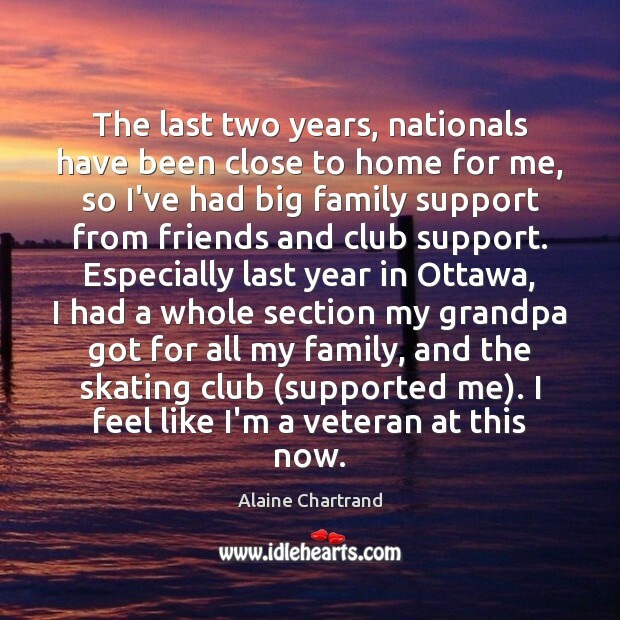 Especially last year in Ottawa, I had a whole section my grandpa got for all my family, and the skating club (supported me). I feel like I'm a veteran at this now. There's more coming tomorrow than there was today. Quite a few people coming from Ottawa to watch. There were still a lot of people out there today. Some coming from farther tomorrow.